In what can only be described as stupidity and cowardice, national theater chains including AMC, Regal, Cinemark, and Cineplex, and eventually Sony Pictures Entertainment have pulled the December 25th release of The Interview. 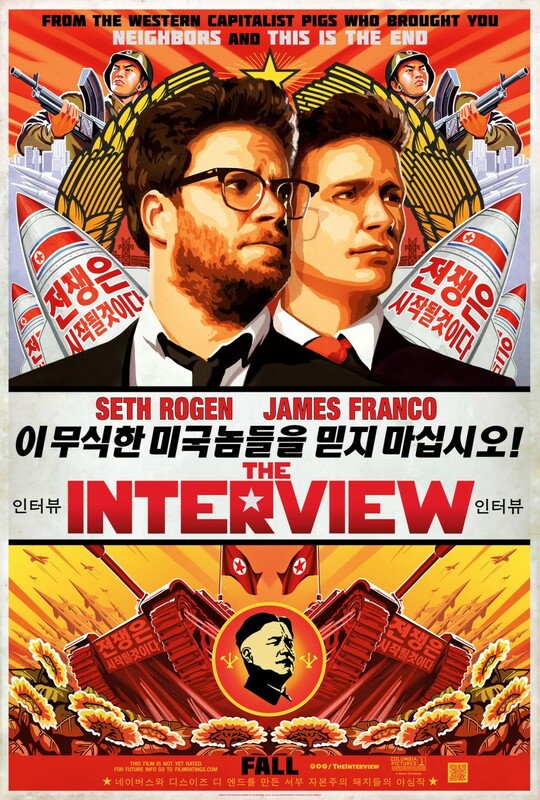 For those who might not know, The Interview is a film starring Seth Rogen and James Franco that has them traveling to North Korea to interview Kim Jong Un, and are tasked to kill the leader. The country didn’t take the comedy too lightly, and instead North Korea (likely, it’s hard to verify) waged a cyber-war against Sony in retaliation. That cyber attack proved an embarrassment for the American subsidiary of the Japanese conglomerate. Sensitive documents were released, and have been fodder for sites over the past week. That coverage of leaked documents, and the subsequent reaction (which we’ll get to), played right into the hackers hands. Really, the hack showed the continued ineptness of Sony to protect itself in a digital age. They’ve had numerous hacks, dozens of times, that have exposed user accounts, and more. In the end, the hackers threatened a physical attacked reminiscent of 9/11 if The Interview wasn’t pulled from release. This led to major theaters to cancel the release of the movie. Those theaters account for 18,000 screens of the roughly 40,000 screens in North America. Other theaters stood strong and would have still released the film. Sony eventually completely caved, and as of this post they were unsure if they’ll ever release the film, even on demand (I’d expect a torrent any day now). The hacks, and even threat, are an example of cyberbullying taken to extreme, and by caving to demands, that bullying has shown to work. It’s akin to attacks on female creators (which include physical and death threats) in the video game industry, and have gotten some women to quit the industry. Its happened to comic creators and critics by those who disagree with what they have to say. It continues because it’s perceived to work. What the pulling of the film does is encourage more of the behavior in the future, especially from the North Korean regime. The country has been building a cyber force that supposedly comprises 1,800 individuals. The cancellation of the film by theaters wasn’t likely out of safety concerns for movie goers (North Korea doesn’t likely have the ability to act on their physical threats), it’s more likely theaters are looking out for their own necks, and fear a cyberattack on their own systems, and what would come to light if it happened and documents were released. Documents that have been released showed Sony (and other film companies) conspiring against Google, and really consumers, in the battle over piracy. A battle ironically where Sony, the MPAA, RIAA, and other content producers use similar bullying tactics as were just used against Sony. They’ve also bad mouthed their own films, actors, and the direction of the subsidiary. Imagine what would be revealed about movie theater chains if a similar event would occur? The caving to the threats, and the embarrassment, have already had a chilling effect. A planned adaptation of Guy DeLisle‘s Pyongyang by New Regency has been pulled. That film was to star Steve Carrell and be directed by Gore Verbinski with a script by Steve Conrad. The film has been described as a “paranoid thriller,” which has me a bit worried about what it might have been, when in reality DeLisle’s story is more like Lost in Translation. Luckily you can still purchase the brilliant graphic novel . What’s to say a threat and attack isn’t in Amazon’s future to stop the sale of the book though? 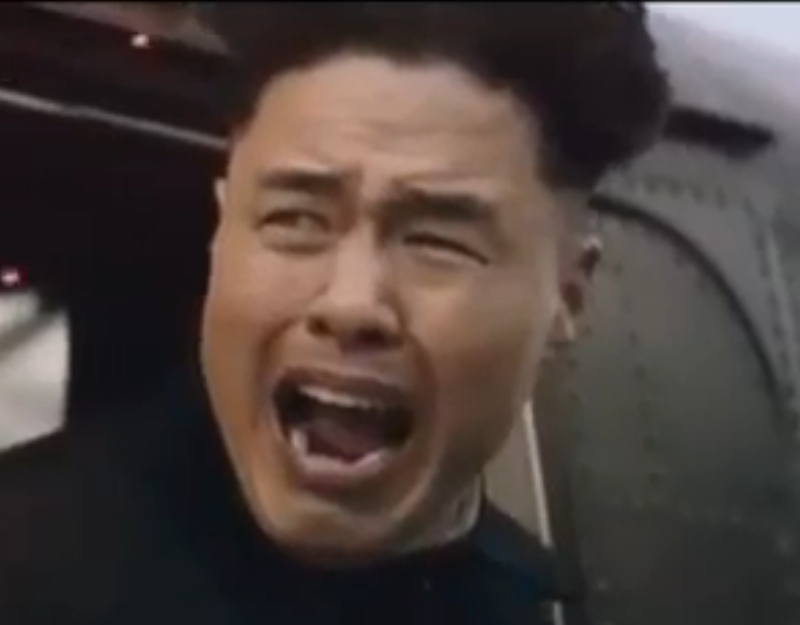 Paramount has barred theaters from showing Team America in protest of the cancellation of The Interview. 12 people were killed and more shot, plus numerous other incidences, during the opening week of The Dark Knight Rises, that film was kept in theaters. The Warriors opened in 1979, and lead to vandalism and killings, and only had security added to theaters, and continued to show. Cyber threats which couldn’t be corroborated, and experts have dismissed the capabilities, are more than enough to stop this film, and more. Where actual physical proof of probable violence existed, a film wasn’t pulled. Think this is about our “safety” or that of protecting the theaters’ digital secrets? In the coming weeks, and months, this most likely will increase the call for needed cyber legislation, most of which will be draconian, hurt civil liberties, and punish the consumer. Legislation like CISPA, SOPA, or PIPA, will be rammed through like undead zombies infecting and destroying the world before we notice and it’s too late. The attacks also have done more to promote a film which likely have done just ok in a theater (and built up a buzz that it’d be crazy to not release it digitally and capitalize on the hoopla). This isn’t the first time a hack has led to company secrets being stolen. This isn’t the first time intellectual property has been stolen. The difference here is, that demands were met, and corporations caved to threats. They’ve shown this sort of bullying works, is easy, and effective. It encourages it to be done in the future, creating a chilling censoring effect. This isn’t the first time issues over a movie and North Korea have come up. In 2002, Bond film Die Another Day depicted a North Korean villain which resulted in the country going on a PR offensive (instead of a cyber one). With these latest threats, the country moves closer to being a real life Bond villain. Similar issues arose in 2004 of Team America: World Police, and in 2012 and 2013 things changed up a bit with the release of Red Dawn and Olympus Has Fallen. Both of those films featured North Korean terrorists. Those two films, the country used footage for their own propaganda to show off their military prowess. It’s all ironic since former North Korean leader Kim Jong Il was an avid fan of the James Bond franchise (and movies in general). Jong Il was so obsessed with films he kidnapped Japanese and South Korean actors and directors to star in movies he some times wrote himself. I agree it’s a shame they gave in to the threats. Cyberbullying is the internet daily norm. Isn’t it? As evidenced by the pushing of gossip and consumerism on all portals and platforms. As evidenced by the replacement of journalism with what is popular. As evidenced by spying and tracking without my permission. As evidenced by search engines designed to sell instead of find. Cyberbullying in not just hackers at work, it is the internet at work. I was actually really looking forward to The Interview, and I’m saddened that this had to happen. If I were in their position though, I might cave in as well, and that’s the irony here, that if we were Sony’s leadership, we might be too scared to release the movie as well because of the potential fallout. I hope that in the future we won’t be too afraid of a silly little man ruling over a heavily repressed nation to speak our minds and express ourselves. 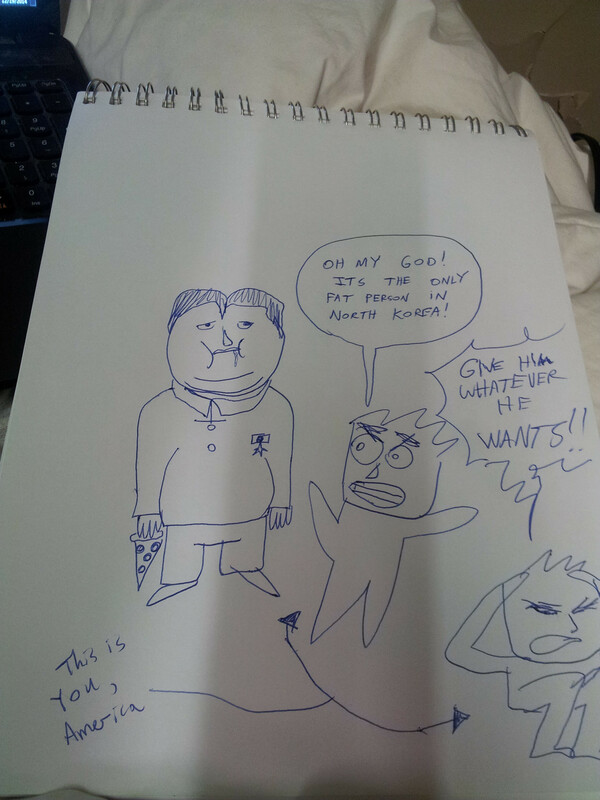 I know that I won’t, if I ever have a story involving the North Korean government. With everything that is going on now in the world, you cannot take a threat as a joke and just assume that’s all it is rather than a warning of a promise. I believe that if it was the other away around, and it was Obama in a North Korean spoof where they plan to assassinate him, the US would be on guard and feel a little threatened due to the “What ifs”. I believe North Korea felt threatened which is why they had to come as hard as they did. It’s sad that we can’t even get to enjoy a movie anymore without something going wrong. This world is falling apart. Sad they caved. But you think Sony could drop a couple hundred g’s and hire a hacker themselves. So its gone cyber crazy now! You have written a complex article. Expanding it to the past Would a holocaust movie be made because it might offend someone? Spielberg would not have made the List. Would a Black movie like the Help be stopped because the KKK makes threats? Is this not part of our First Amendment? Do we tuck our tail between our legs and pretend that we have control. A slippery road with consequences. That anybody would give the leader of North Korea the power he wants by caving into the censorship of art and freedom of speech is ABSURD. People need to get the interview and film back and tell Sony to grow a pair. I understand why the theaters decided not to show the movie. There was a very clear threat on anyone who attended the movie (meaning their paying customers). Why would you not take that seriously? It’s like if there’s a bomb threat at a school. You don’t just brush it off and say “Eh, they’re playing Chicken with us.” No. The schools go on lock down or get shut down. Same goes for a threat in a movie theater. What if they had, in fact, carried on the “We won’t give in to terrorists” ideology and theaters had been shot up or bombed? That would be a HUGE crisis that rests essentially all on their shoulders because they had time to take precautionary measures and they didn’t. I don’t really have a stance on Sony pulling the entire movie, but I think the theater chains were justified in pulling the movie from their theaters. Hi Hey its Hales… we are the Superpower. North Korea commits human rights atrocities on it’s people. It’s not ok to cower and grant him ANY power. We should not exist under North Korean rule. Guaranteeing the safety of US citizens by not showing a stupid movie in theaters is not existing under North Korean rule. We aren’t turning over military secrets. We aren’t agreeing to kill our allies. We’re not showing a movie that was a dumb idea in the first place. Not to mention that North Korea has very substantial nuclear weapons ready to go (we know this for a fact). They aren’t just some little country. They are a very volatile, very real threat. Like I said, I don’t have an opinion on what Sony decided. But I think theaters deciding not to show a movie that has threatened their customers is their choice and their right. Art is subjective so I accept your movie review. But censorship is dangerous stuff for an artist to concede to. I am an artist and I’m not going to paint pretty pictures so the North Korean crazy son of a crazy father that harms it’s citizens can own me. I understand your fear but we all signed up for this internet with our free choice and our privacy was blown when we agreed. If we allow North Korea power by way of the internet, we truly have lost our ability to know when to stand up against tyrants. This is not the time to back down. Censorship is serious. Terrorists and hackers should not rule. Weapons are the problem… not comedies, information, art or movies. Sony corporation has too many rights. Deciding to pull the plug isn’t protecting anyone. Hi- just wondering about your ‘we are the superpower’ comment, is that refering to america? Um YEAH. America is a Superpower. Not gonna go all pro-war monger on you because I’m not like that. But back down to North Korea? In this country? No way. But the news has shifted anyhow and it looks like our prez has some recourse in mind and has stood up against censorship… as well as Sony is acting like they never meant not to show it. They are blaming Theaters. Mean while is is perfectly acceptable Clint Eastwood release a film called American Sniper… which I think is far worse than a comedy by Seth and James. Hollywood should be ashamed to sponsor Eastwood violence as they kick around Clooney. The political agenda reeks. yes it is a tupid threat, what if it was not then? sure, you’ll be safe in your theater of choice, practicing your “bravery”. while some punk bomb another theater, what will you then? That is the point of terrorism it’s why terror works so well. They obviously can’t attack everyone but if they attack one or two and win then most others will tuck tail and run. Asariels Muse points out that “it’s why terror works so well”. And that helps to explain why most of us citizens of the world “tuck tail and run” when governments and corporations bully a few of us. The whole debacle is funny. Sony execs have put themselves in this spot, and it’s more about protecting their image than making Americans feel safe. I don’t believe that the threat of harm is what had the movie pulled, but the threat of more leaks that they all fear. I’m not an American but this betrays my enormous faith in America as a nation that facilitates and defends freedom of expression in any form… As George Clooney rightly put it; This is not just an attack on sony. It is an attack on the long standing objective norms of America. The industry should have never caved in… Just because you have someone threaten to blow up buildings, doesn’t have to warrant the greatest movie industry to consign itself to cowardice… This is a ‘Win’ situation for N.Korea and a testament that subdues America’s greatest ideal. I agree with you 100% With that said, we would lose our minds if North Korea film makers released a film about killing our president and then called him by name with an actor who looked just like him. Even if it was a comedy. I’m sure we wouldn’t hack their company or retaliate immediately, but I think it would be taken as a threat. If I were a leader of a country, I wouldn’t want a comedy made about my death. Lol… And how was it? I thought it was funny. Stupid, yet hilarious. If you like Seth Rogan and James Franco together, it was brilliant. …. It’s suddenly gonna go down in history as probably the most ‘notorious’ film ever made. Every day Google (and many other Silicon Valley companies) track your clicks, follow your navigation, collect information on you, and then pass all that info on to the NSA and to their advertisers. Google and its fascist leaders have said openly that their program is the death of privacy and net anonymity, which is also the goal of the CIA and NSA. Why aren’t people upset about THAT cyber-terrorism? When hackers overseas spy on communications it is exactly what US spooks and corporations have been doing vigorously for years. Silicon Valley is far more of a threat to constitutional freedoms than North Korea is. Another point of confusion here is that the net is not American. It exists outside the US Constitution, and the touted rights to free speech. Thinking that the whole world is supposed to follow US traditions is silly, uninformed. Even the USA doesn’t respect US law. Why should hackers in other countries? If you want free speech and privacy to be respected (I do) then we should have been protecting it for all those years when Google and the US phone companies were passing all our communications on to the secret spy agencies. The level of ridiculousness here is unparalleled. So much for America, Land of the Brave. Dangerous precedent being set here. Dangerous indeed. This really doesn’ t have much to do with America. It has way more to do with a Japanese company, close to North Korea being attacked. I work for a Japanese company and they do things differently. They want everything planned and predictable. This kind of chaos is so different than the way they do business. If it was just an American issue I don’t think they would have halted the release. Very good article – reminds me of Frank Zappa’s excellent album, Joe’s Garage that takes the form of a story about “the future”, when making rock music is illegal (along with other fun things), and tells the story via songs and a narratior (the central scrutinizer) who provides commentary between each song. This album was made during a period where certain forms of music (which seem quite tame compared with much that has come since) were blamed by some people for causing vulnerable teens to suicide and generally contributing to a lowering of “moral fibre” in society. IMHO the repression and control exhibited by the people who often oppose free expression is a much greater threat to the wellbeing of all of us than allowing people to listen to, absorb, and come to their own conclusions about information which may be considered controversial by some. Sad this happened. Hopefully is isn’t a sign of things to come. it was a silly movie anyway….. So if they were releasing a movie about obama’s assasination.. We wouldnt respond? Give me a break- its not ok to make movies with that subject matter- especially with a crazy dictator as the punchline. The movie theaters actually decided not to run them, so sony backed put. Have you no concept of what Kim Jung Un might do in terms of a hot war in reaction to this movie? Can’t we call movie makers irresponsible? In Real life if an American (any Amereican) calls for the assassination of a forieng leader that is TREASON andpunishable by death. Now amovie comes outwith the samebasic ideas,land all of a sudden people are wanting to trash our own laws in favor of a highly inflammatory movie that could cause real people to die?When do movies fall into the category of propaganda? And,until the TREASON law is overturned, I think Sony would be smart to put the writer, director and anyone else responsible for such illegal acts OUT ON THE STREET where the police can find them. Yes,I see Fury and almost all war movies as pure propaganda by egrandizing war itself. Is it just me or does war stink,any war,any time? Sony should be in court for making such a movie. I haven’t forgotten Yong Pyueng Do or the Cheonan sinking. By now you’ve probably heard that Sony is allowing the film to be shown in independent theaters, and is also making it available online (I wonder what they will learn about film viewing habits from that…). I gather that Sony’s pulling of the film was due to two things: the refusal of the major theater chains to show it (thereby cutting into the company’s box office figures), and the fact that Sony is a Japanese company – and they are a LOT closer to North Korea than we are. Perhaps there were things going on behind the scenes that the American public was not privy to. Sadly, caving in to threats like this has become all to common. We’ve turned in to a nation of wusses. YouTube came to the rescue … :/. I don’t think it was a “cave” situation. I think it was a publicity stunt. I saw the Interview at an IMAX movie theater on Christmas day and lived to tell the tale. Hooray!! I like the movie, It is fun. :D, great article by the way! I swear to God, I didn’t know that Sony made anything more recent than a Walkman. That was a great post. Enjoyed reading it from starting to the last. Let’s be serious here for one moment though. As if somebody would be able to make a movie about assassinating Barack Obama and get away with it. It is not surprising that this movie stirred up a lot of controversy.